Yes it’s a big claim but I’m calling it. 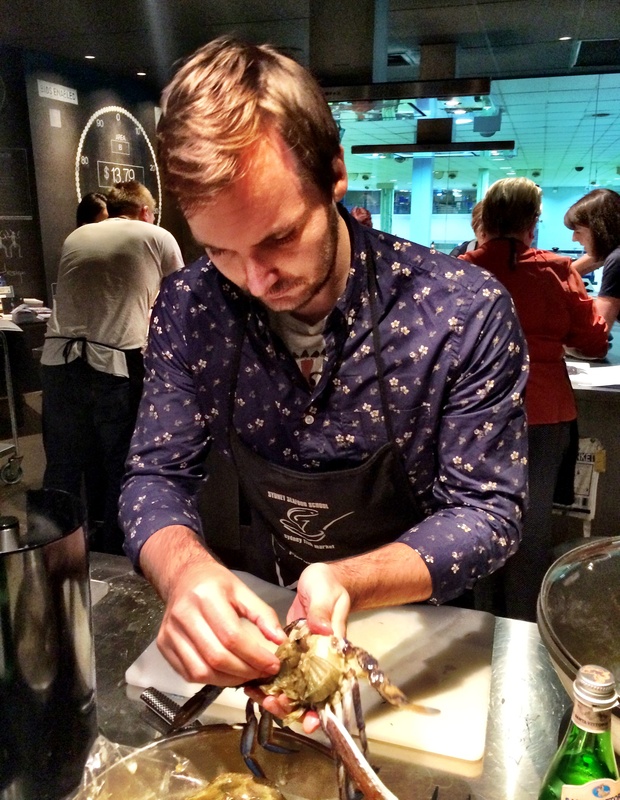 To me a great foodie experience needs to be engaging, immersive, authentic, and above all, tasty. 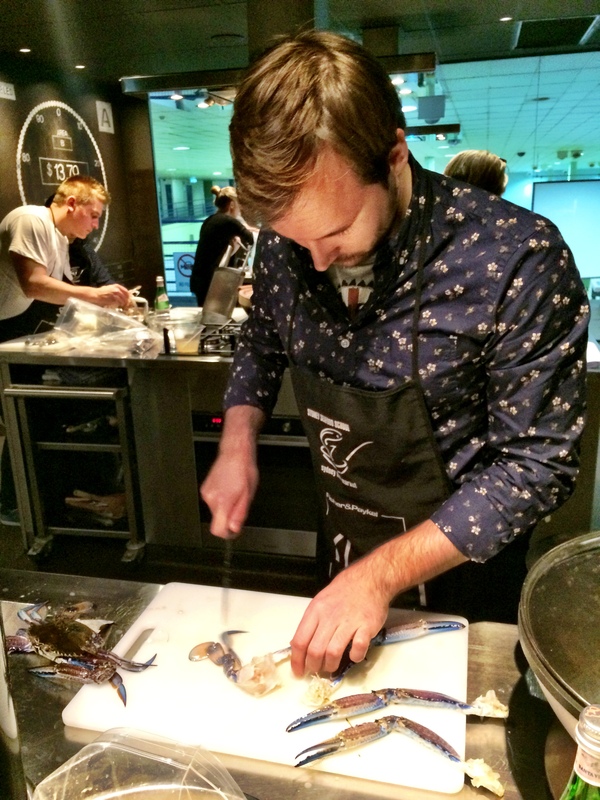 There’s one experience that ticks all the boxes in my book and that’s a class at the Sydney Seafood School. I’ve now racked up about five or six classes over the years, so consider myself somewhat of a veteran. A stroll through the fish market and past the silent auction halls will most certainly put you in a fishy mood as you enter the school and take a seat in the cosy theatrette. 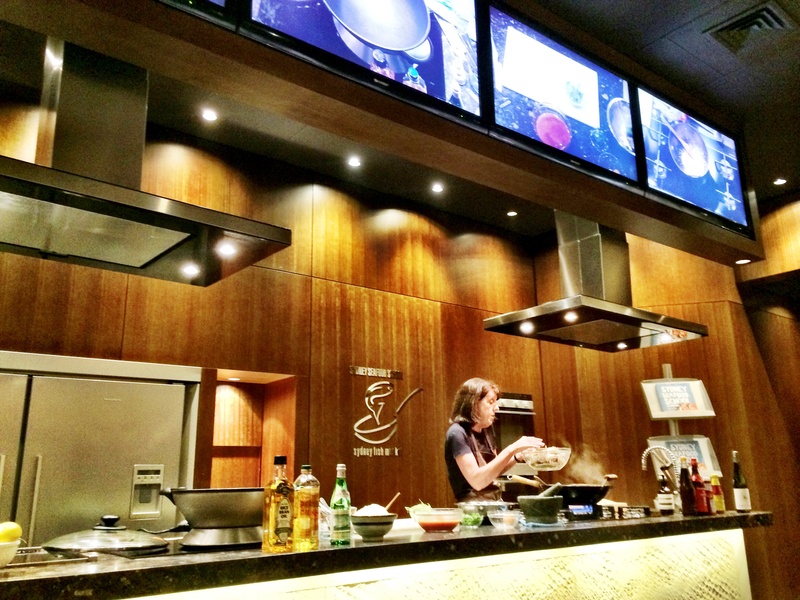 In front of you is a demonstration kitchen that puts Masterchef to shame, with cameras capturing the action from every angle on overhead screens. 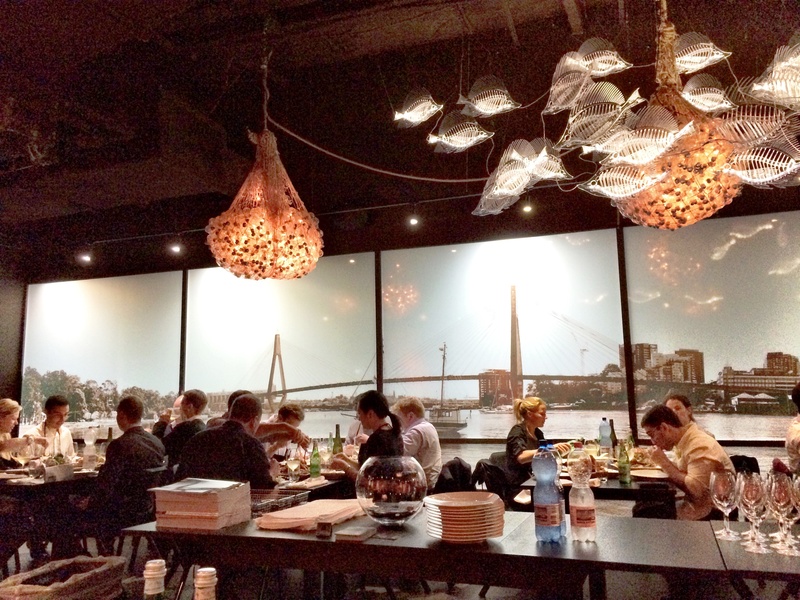 The walls around you are covered in ‘leather’ wallpaper, made from dried Icelandic salmon skins. The designers really took the brief to heart. 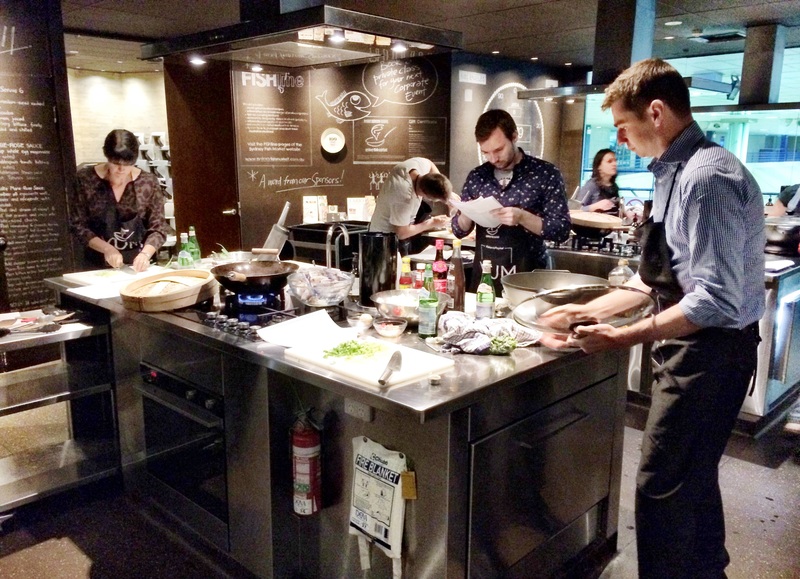 Either a well versed home economist or high profile local chef will demonstrate 3-4 recipes which all use supremely fresh seafood, straight from the market floor. 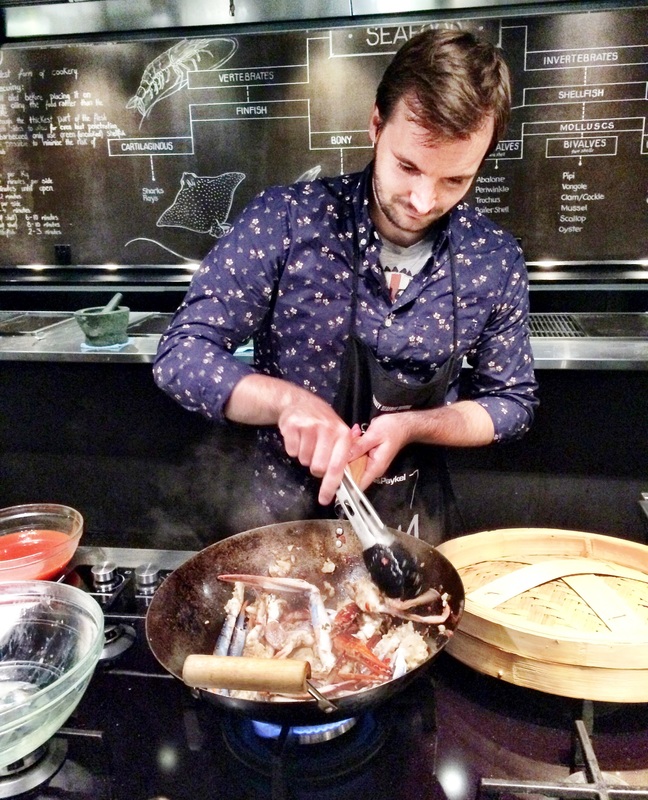 Classes cover everything from tapas and paella to how to barbeque seafood. 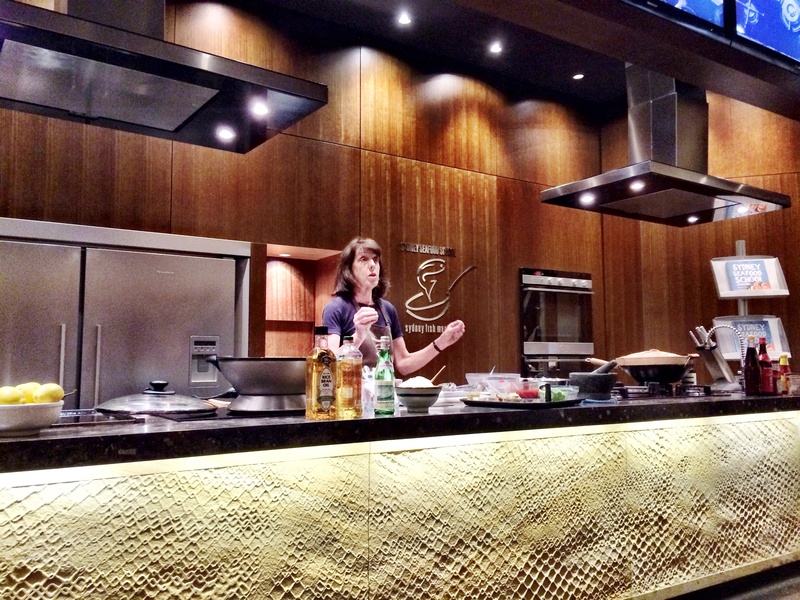 I most recently experienced the crab double act: Singapore Chilli Crab & Black Pepper Crab, over a three hour class. 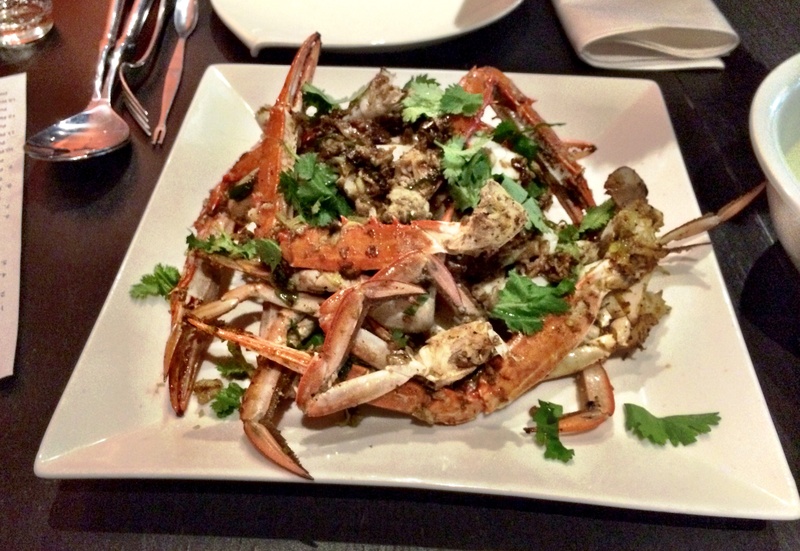 The heady mix of salty, sweet and hot flavours in these two dishes works beautifully with fresh green blue swimmer crabs. Everyone working at the markets is an expert on seafood so you always get the backstory on the ingredients being used. 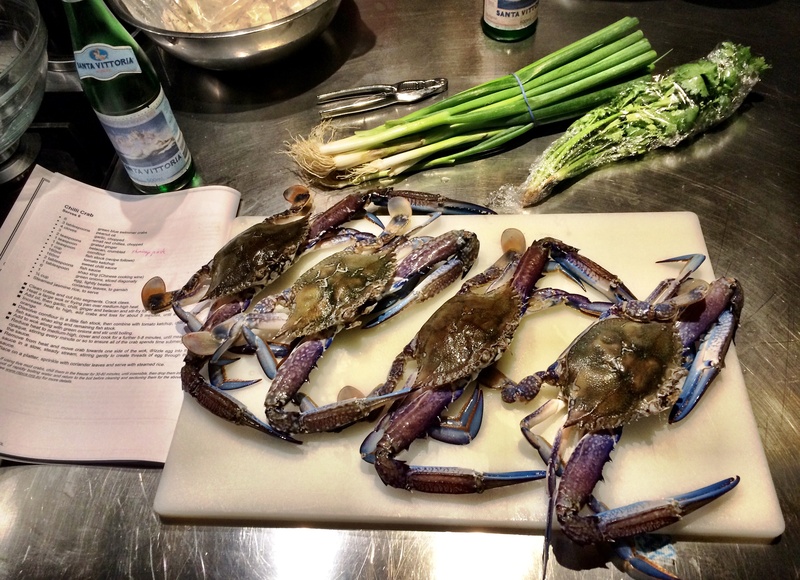 In this case we learn how to prepare various crabs (who knew crabs had a flap?) and the distinction between varieties and their provenance. Each dish is broken down into steps and we watch the process intently from start to finish. Then it’s time to step next door and put the lesson into practice. We form groups of 4-6 and congregate around our own free standing kitchen. Each person is armed with a recipe booklet and allocated a task so the prep moves at lightning speed. I don’t often cook with crustaceans so I get a thrill from cleaning and segmenting them, knowing I won’t have to clean up the mess. It’s fiddly business. Once the crabs are clean we start on the based for each sauce. 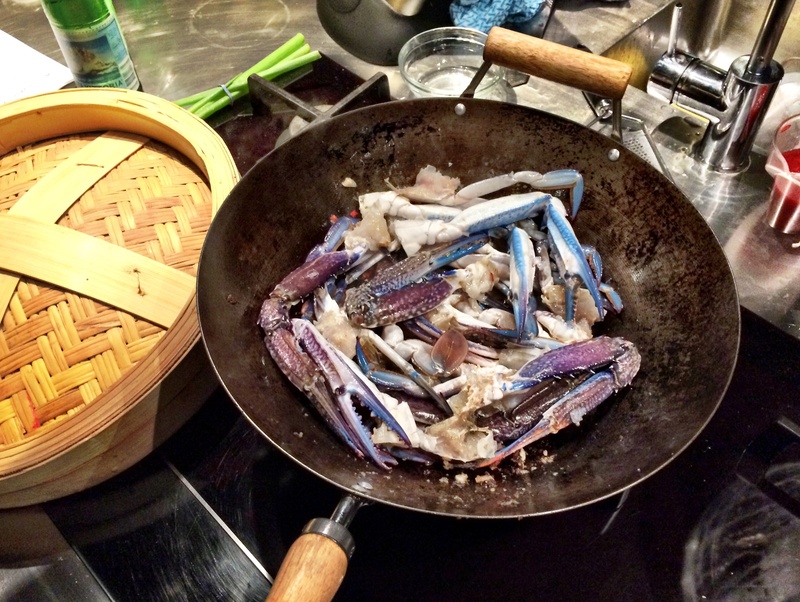 I get cracking on the chilli crab by adding garlic, chilli, ginger and shrimp paste to a wok. A minute later I crank the heat and throw in the crabs. It takes less than five minutes for the shells to go from a deep blue to bright orange. In the meantime a sauce is made from cornflour, fish stock, tomato sauce, fish sauce, rice wine and chilli and added to the crabs. The final flourish is the addition of a lightly beaten egg when the wok is taken off the heat, which creates threads of egg through the sauce. 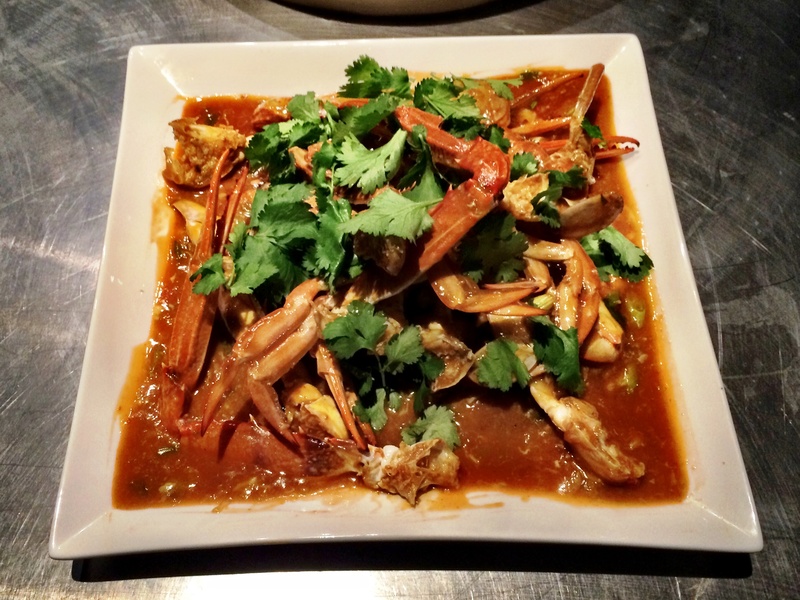 We plate up the chilli crab, sprinkle the dish with coriander and serve with rice. My fellow foodie friends are meanwhile putting the finishing touches on the black pepper crab which is arguably the more favoured dish in its home town. 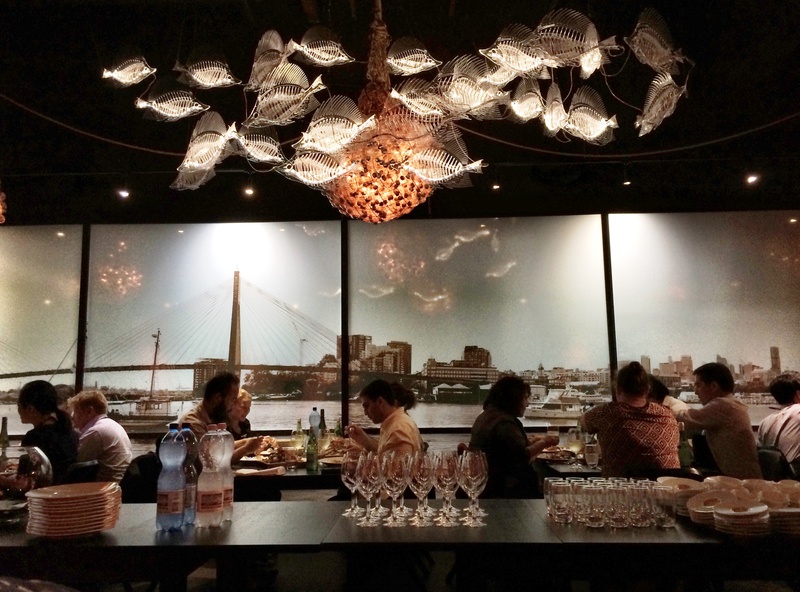 We take our meal to the adjacent dining room filled with ethereal light fittings made from fishnets and bare bulbs. Before long we’re elbow deep in crab. The chilli has quite a kick to it so matches well with the accompanying Riesling. Nespresso coffee and Lindt ball are the finale to this delicious meal. 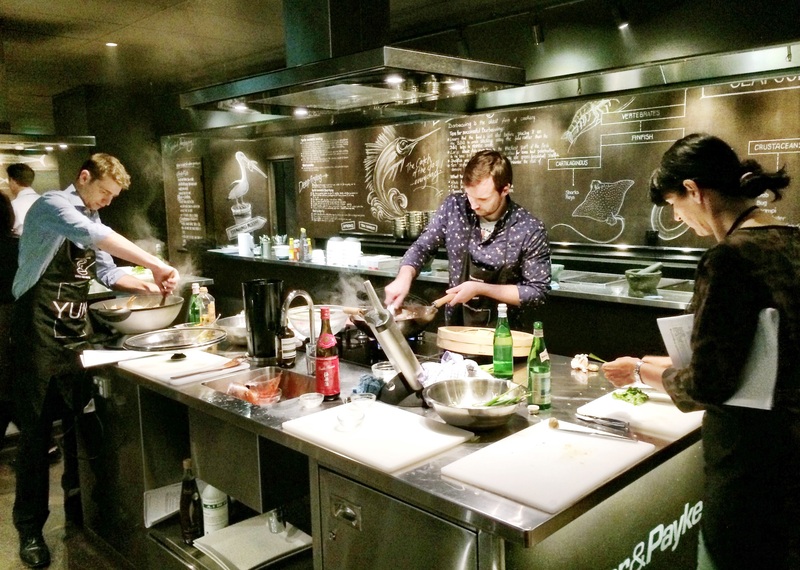 Cooking schools are a great way to get to know a new country and its cuisine but are just as good for perfecting cooking skills in your own country, especially if you’re lucky enough to have a cooking school this good in your midst.